Do you like your coffee to have artistic flair? Recent research shows we’re likely to pay more for a coffee with latte art than a mere ‘flat’ white. It will come as no surprise that coffee culture is thriving in many western countries. Yet, although the amount of coffee we consume has not changed drastically, it is the way we are consuming coffee that has changed. In Australia, we drink around 2.7 million cups of coffee a day. In Britain, the figure is more like 70 million cups daily. Once upon a time, we would’ve been happy to consume instant coffee at home. But we are now heading to cafés and restaurants for our daily caffiene intake. Given our change in behaviour and the figures presented above, it is clear that there is a strong financial incentive to try and optimise a consumer’s experience of a given cup of coffee. And this is precisely what my colleagues and I found in a study published recently in Journal of Sensory Studies. 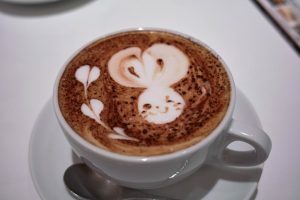 We discovered that latté art appears to play a big part in the way coffee drinkers perceive the value of their morning cuppa. The creamy latté is now more popular than the feted cappuccino. This might be why the creation and evaluation of latté art constitutes an important component of many international coffee competitions. But, until now, nobody has assessed whether the presence of latté art would influence people’s expectations and ratings of the contents of what lied beneath. We already know that various factors influence the taste of a coffee made with the same ingredients. And we know that artistic presentation of food can influence people’s perception, and how much they say they are willing to pay. Recently, for example, Charles Michel and his colleagues found that arranging the very same ingredients in different ways (i.e. tossed salad vs artfully arranged to represent one of Kandinsky’s paintings vs neatly but non-artistically arranged) influenced both people’s expectations and their subsequent experience of the food. Prior to tasting the dish, the artful arrangement of the food was, unsurprisingly, rated as more artistic. However, and more importantly, it was also liked significantly more than the other arrangements. 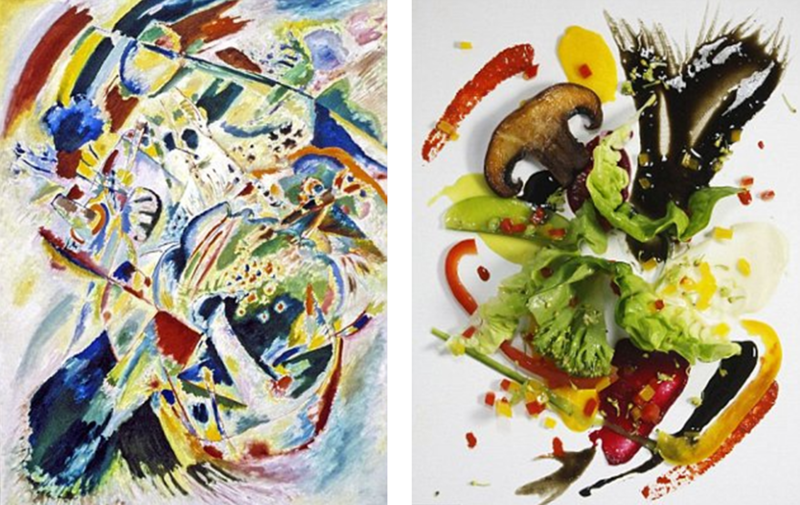 After consuming the dish, the Kandinsky-inspired arrangement was rated as significantly tastier than the other presentations, and the participants were willing to pay significantly more for the artistically-plated dish relative to the other presentations of exactly the same ingredients. In one of the experiments we conducted, people were willing to pay significantly more for a café latté with art than for one without it – but one latté was not liked more than the other. A possible explanation for this pattern of results might be that the participants ascribed a higher effort and/or skill to the creation of the latté when it was served in a more aesthetically pleasing manner, a phenomenon called “art-infusion”. Our study clearly shows that latté art does influence the amount a person is willing to pay for a milk-based coffee. We also found that the type of art appearing on the coffee was important. People rated cappuccinos with star-like shapes on their foam as being of better quality than those with rounded, amoeba-like shapes. Given these findings, we suggest that it is the aesthetic appeal, and not the effort of making latté art, that seems to be most important in influencing how much someone is willing to pay for their morning cuppa. 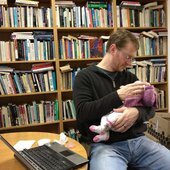 This interpretation is consistent with Michel and colleagues’ recent finding that “effort” does not seem to be valued in its own right, thus supporting the likely importance of aesthetic appeal. Our findings suggest that café owners and baristas should carefully consider whether latté art should be added to the product they are serving, and what type of visual design they intend to use. These results are consistent with a growing body of research demonstrating that the visual presentation of food can exert a profound effect on how much people are willing to pay and, on occasion, can even affect the consumer’s enjoyment of the food. This entry was posted in Art, Coffee. Bookmark the permalink.